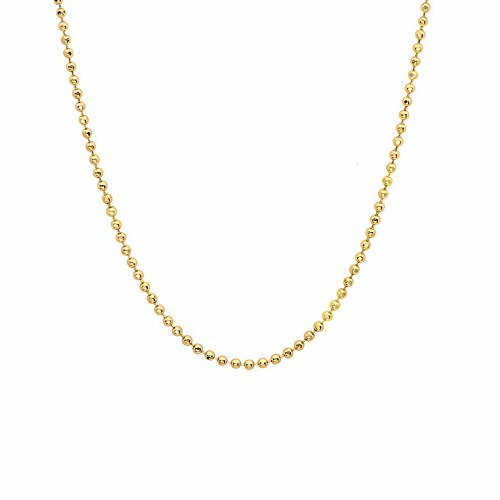 1mm thick 14k gold plated sterling silver 925 Italian diamond cut BALL bead chain necklace bracelet anklet - 6", 8", 10", 12", 14", 16", 18", 20", 22", 24", 26", 28", 30", 32", 34", 36", 38", 40"
Sterling Silver Diamond Cut Bead Chain Necklace, 18"
Sterling Silver Diamond-Cut Ball Bead Chain 2mm 925 Italy Dog Tag Necklace 24"
JewelStop 14k Solid Yellow Gold 1 mm Diamond-cut Bead Chain Necklace, Lobster Claw - 18"
Happiness is having an amazing collection of stunning and elegant jewelry. 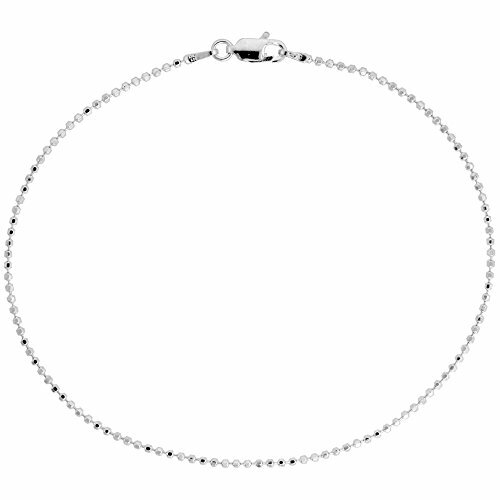 So, now stay happy all the time when the biggest online jewelry store is right here at your service. 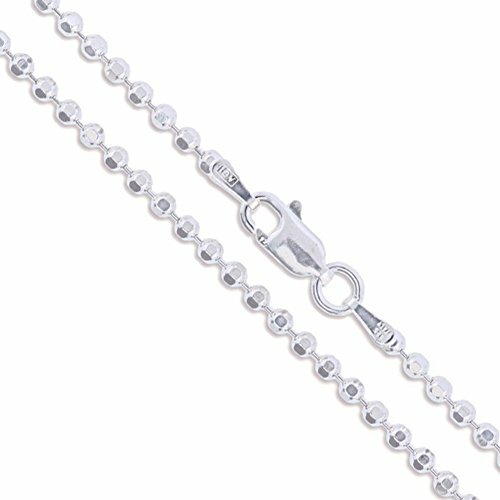 We offer you the best quality jewelry at the best prices. JewelStop presents you beautiful neckpieces that would add a lot more to your charm. 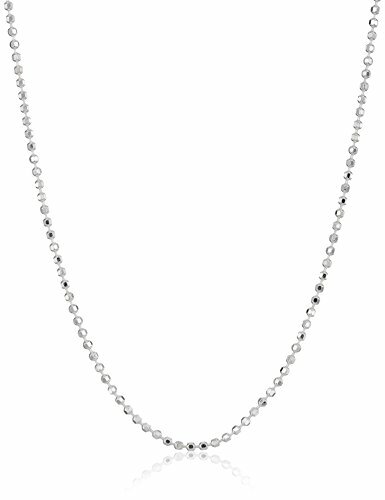 We bring you the Diamond-Cut Bead Chain necklace that has been exclusively designed to cater all your needs. 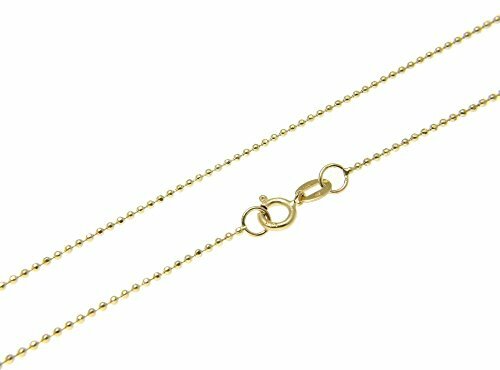 The 18" long bead chain is crafted in 14k gold that is duly stamped and marked. 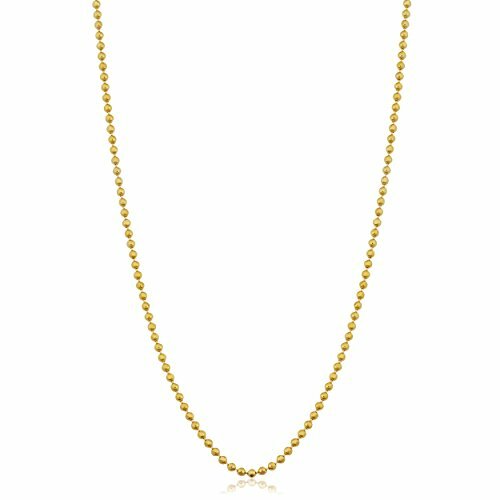 The bead chain necklace is yellow gold in color and has a lustrous shine. 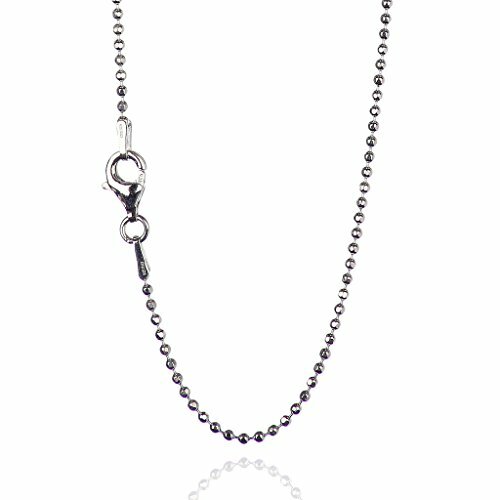 The lovely design further gives the chain a ravishing look. We offer you high product quality along with 30 days money back. The package includes a jewelry box too. 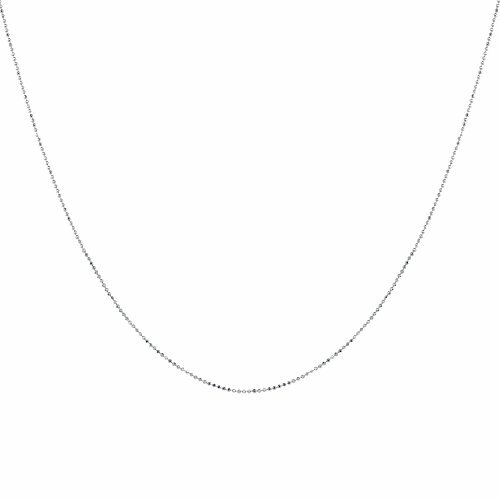 So, do not miss this golden chance of having this pretty looking necklace at a really affordable price. Grab or it's gone! Please note that images have been enlarged to show better detail.